Announcement We offer free domestic shipping on purchases over $20.00 ! 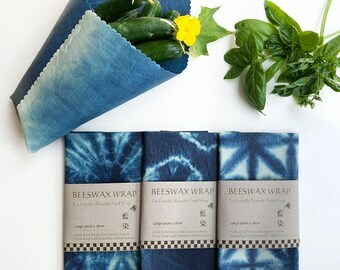 Beeswax wrap is a breathable cloth that maintains the moisture and freshness of your food. Great for wrapping veggies and cheese in the fridge or covering dishes on the table. 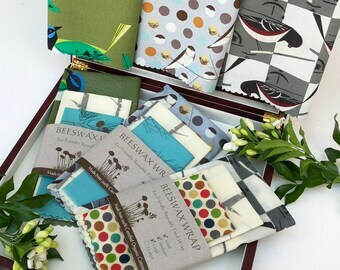 Made from 100% GOTS certified organic cotton, Australian organic beeswax, dammar resin and Australian virgin jojoba oil. We offer free domestic shipping on purchases over $20.00 ! Extra Large 47cmx40cm | Beeswax Eco Wrap | Wrap cabbage halves, celery, kale, etc. Got these as a gift for my sister and she is in love!! Quick delivery, too! 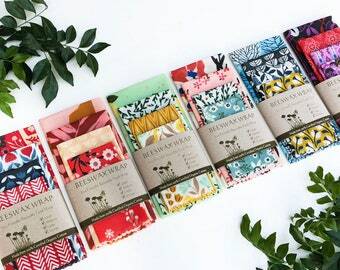 Beeswax Wraps are handmade from Australian pure beeswax, 100% pure virgin grade jojoba oil, and tree resin infused into a fabric made of GOTS certified organic cotton. Each ingredient was selected for its preservative qualities. 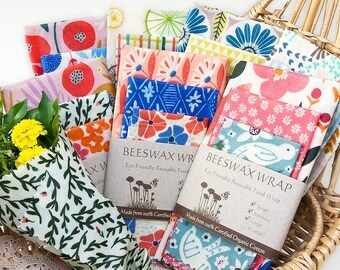 This means that Beeswax Wraps are great for wrapping vegetables, bread, sandwiches, snacks, etc. (not recommended for raw meat, raw fish, greasy food, food with lots of crumbs and pineapple). 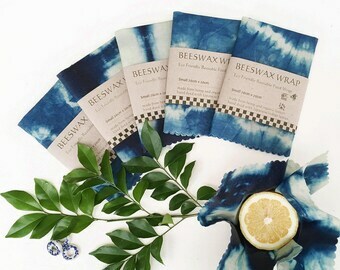 Beeswax wraps can be washed and used over and over again. This helps to save the environment and reduce waste. Use the warmth of your hands to press and mould your wrap firmly around the item to be stored. Place the wrapped item in the refrigerator or take them with you on the go for your sandwiches and rolls. Gently rub your wrap with a dishcloth or sponge and rinse under COLD WATER. Use an alcohol-free, biodegradable soap if you need. 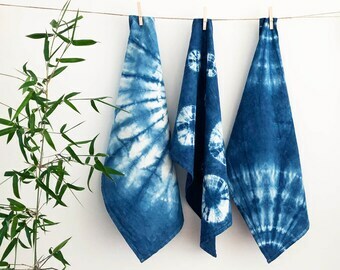 Air dry before storing in your kitchen draw. The natural coating on your wrap will dissolve in alcohol so check your dish washing liquid before washing your wraps. If there are no ingredients listed, please check with the manufacturer. 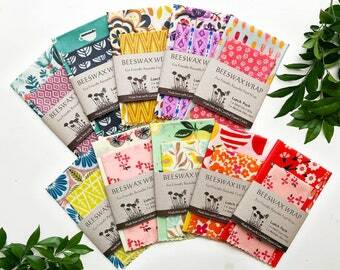 Because beeswax wraps are made from natural beeswax they need to be kept away from all sources of heat, including hot water, steam, hot food, flames and direct sunlight. Wait until the food is cool and then cover with it with your wrap. Avoid putting them in the dishwasher, microwave oven, or anywhere they can get hot. 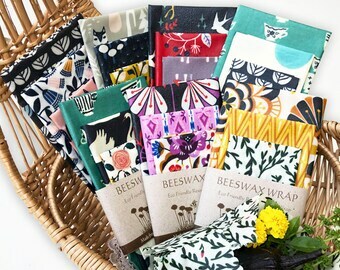 Avoid leaving beeswax wraps in hot places such as direct sunlight or in a parked car. In hot weather, please keep wrapped items such as sandwiches, cut vegetables or fruit, in an esky with an ice pack. If you follow the care instructions, your beeswax wrap will last up to a year. With day to day use, stains and creases may appear, but these don’t affect your wraps ability to do their job. Beeswax warps are handmade and will therefore have some variation in detail, size and shape. There maybe small lumps and marks on the surface which occur naturally during hand making process. Most domestic packages are shipped via regular mail and will arrive within 1-10 business days. Please note THERE IS NO TRACKING AVAILABLE for regular mail unless you upgrade the shipping. Most International packages are shipped via Economy Air Mail and generally takes 3-8 weeks depends on the destinations. Please note THERE IS NO TRACKING AVAILABLE for Economy Air Mail unless you upgrade the shipping.